Take the precautionary step to prevent basketball injuries by supporting commonly injured body parts with a brace or sleeve. The most common basketball injuries include ankle sprains, jumper’s knee (overuse), ACL tears, and sprained wrists or jammed thumbs. 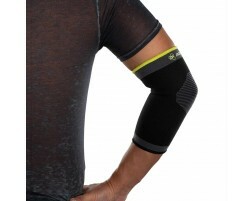 Select the body part you want to protect below to see the best supports recommended for basketball players. Need assistance? 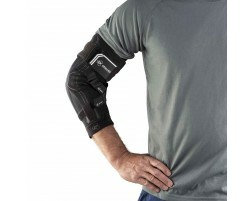 Check out our athletes guide to buying a brace for basketball or use our Brace Advisor. Basketball is rough on the body. The amount of high-intensity running, pivoting, jumping, landing, and lateral movements put a lot of pressure and impact on the joints. One of the most common injuries from playing basketball is an ankle sprain. This frequently happens from landing wrong when going up for a rebound or shot or with a quick pivots and change of direction. Common knee injuries include hyperextended knee or a torn ACL which can happen from quick cuts or if your leg gets caught and you fall in the opposite direction. Sprained thumbs can occur when a ball comes too fast and is caught incorrectly. Shoulders and wrists may also get injured from landing from a fall. Once injured, you could be sidelined for many weeks to months depending on the severity of the injury. The best thing to do is consciously take actions to prevent injuries by providing extra support to the commonly injured body parts with a brace or sleeve. Visit our basketball injury guide to learn more about how you can protect yourself, prevention and training tips to help strengthen your body, how to buy a brace, and how to recovery if you've been injured while playing basketball. Stay on the court and bring your A game!